Host your next outdoor event or party at TreeUmph! in Bradenton, FL. With space for up to 300 guests, our outdoor event venue and party space is great for hosting unique and memorable outings. TreeUmph! 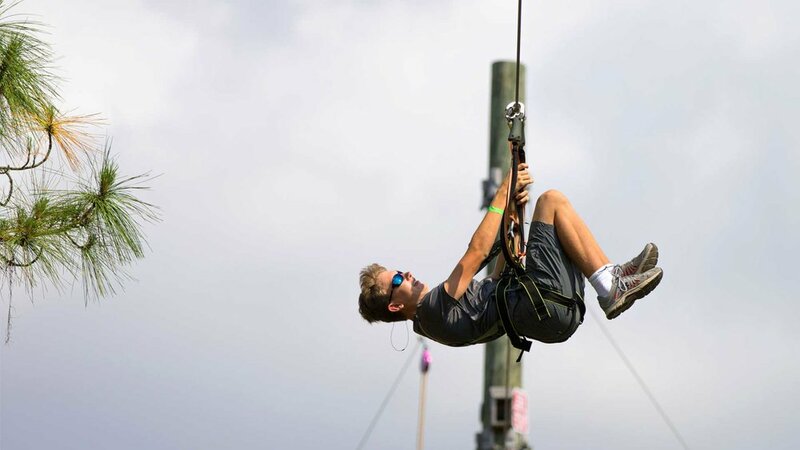 Adventure Course is an ideal, exciting venue for groups of any size to connect, boost individual confidence, enhance motivation and build lasting bonds. With over 100 unique obstacles that grow more challenging as they go, there’s something for almost all ages and ability levels. 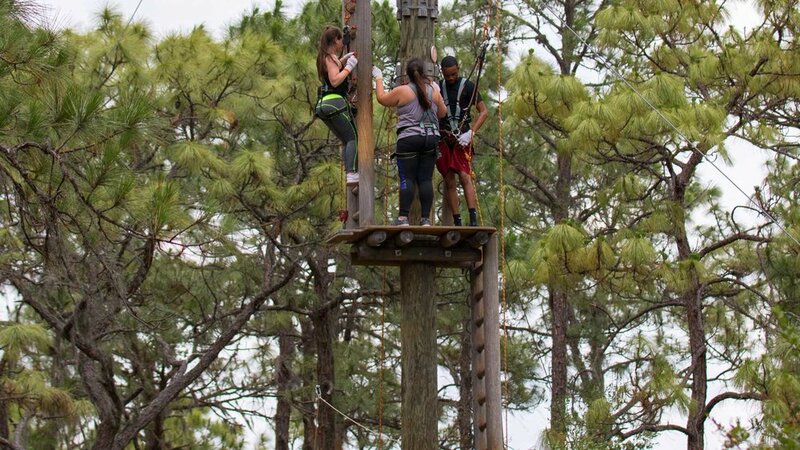 Overcoming the elevated challenge courses as a group creates relationships and memories that will last a lifetime, and will leave each individual inspired by the challenges they conquered with the help of their friends. We work with ANY group of ANY size. Group rates start at 10 climbers. Call us today at 941-322-2130, email info@treeumph.com or complete the online inquiry form and we will get back to you within 24 hours. Here is your menu for the tastiest adventure courses you’ll find anywhere! 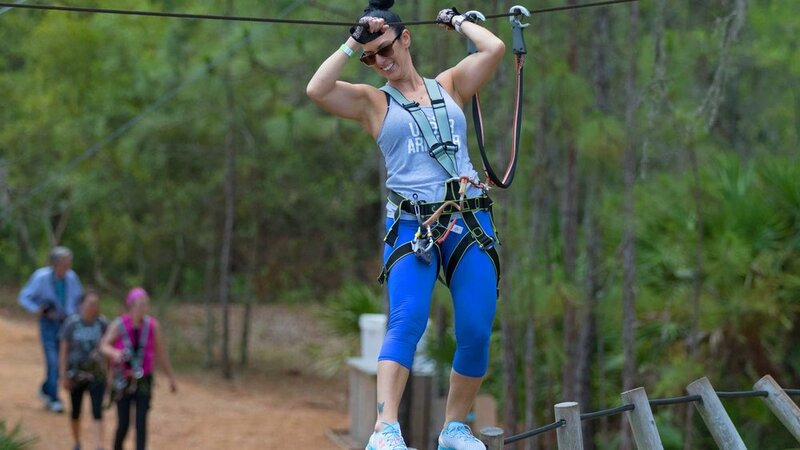 Whether you prefer a milder, easy-going experience or a full-tilt, intense workout 60 feet in the air, there is definitely something awesome waiting for you at our park! This is your primer for learning how to tackle the treetops if the last time you climbed a tree was to get your cat out of it. This course is minimally elevated and is set beneath a canopy of Live Oak and Pine forest. Games include several footbridges, a little swing challenge, a V net walkway and a low speed zip line. This is the perfect way to ease into the tougher stuff and it will give you the confidence boost to get out there and show those trees what you're made of! This course is a notch above (literally, as well) and requires a little more “umph” in your Treeumph! You can do this! 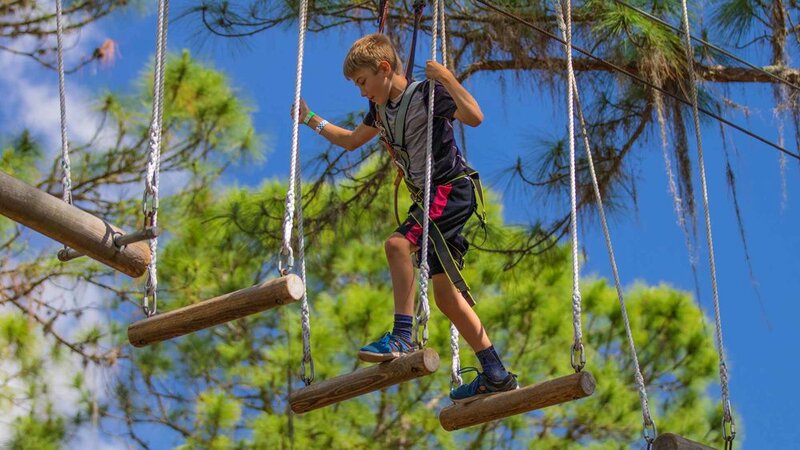 Moderate skill levels thrive here with challenges such as cable walkways, climbing walls, hanging barrels, a unique twist bridge, swinging logs and two zip lines. You’ll be closer to the clouds on this one but the fun factor is also cranked way up! This is the ultimate way to prepare for our more advanced challenges. 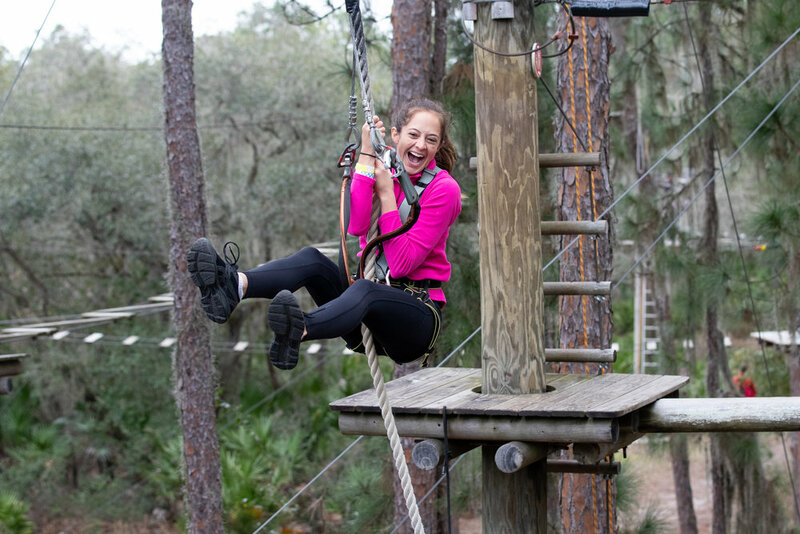 Take on footbridges, U ropes, suspended logs, and our “Leap of Faith.” Get ready for a lot of Tarzan-style swinging and leaping! Only the best climbers can lead. The Lead Course is your chance to shine. It’s about you, at advanced elevations and on the most advanced of elevated aerial obstacles. 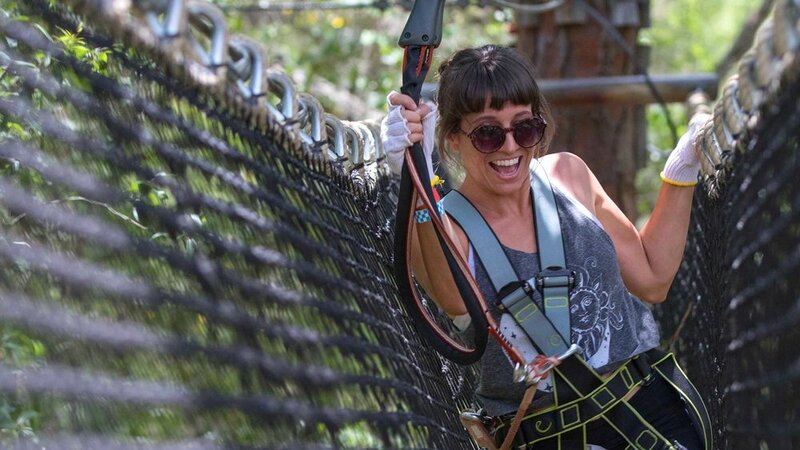 Lead the way through the longest bridge in the park, our airborne skateboard, and over footbridges full of surprises. 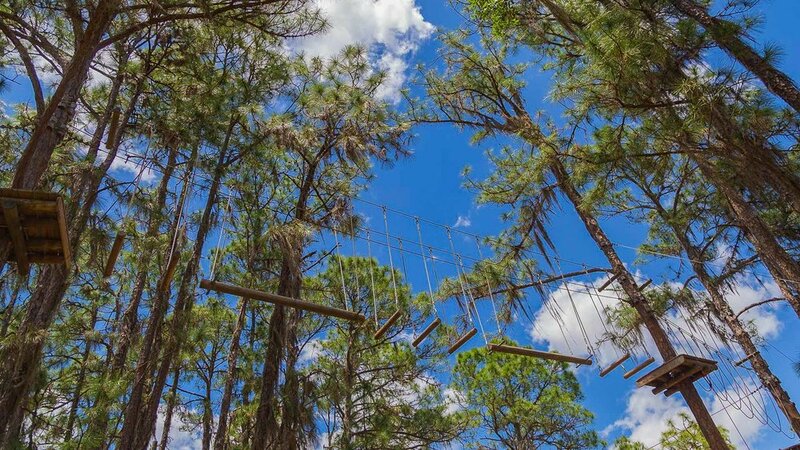 To pass here, you will dance across the tops of suspended vertical logs, traverse suspended climbing walls, test your strength on the hanging ladders, 2 zip lines and swing like a monkey on a vine on Jane’s rope. You lead; others follow for the chance to Summit! This is Advanced Placement Climbing! - The peak of our efforts to bring you a jaw-dropping adventure course to beat them all! We threw everything but the kitchen sink at this course! Come to think of it, there actually might be a kitchen sink up there. There are cargo nets, Xtra long logs, Man Makers, swinging rings, vertical logs and more! Working up a sweat yet? Whether you shredded every challenge in your path or if you just gave all you could give, bask in your glory because you’ve earned it! 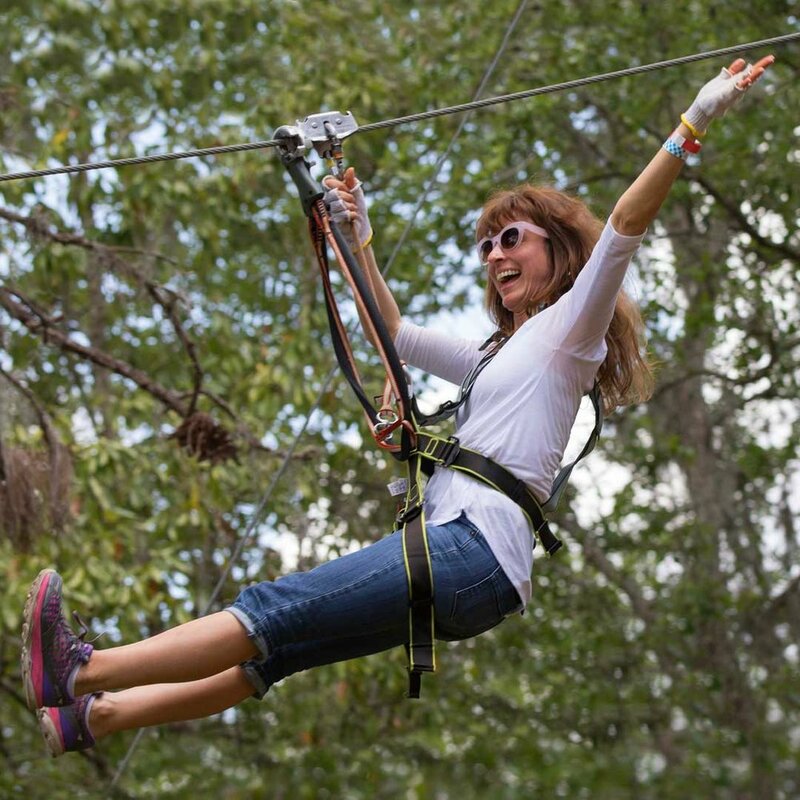 As a reward, we’ll give you a lift back to camp in style with an invigorating ride on Triumph, our 60 ft. tall, 650 ft. long zipline. Enjoy the fast-moving scenery as the wind cools you off after a job well done! Children are natural climbers. They take to these games like apes to the trees. 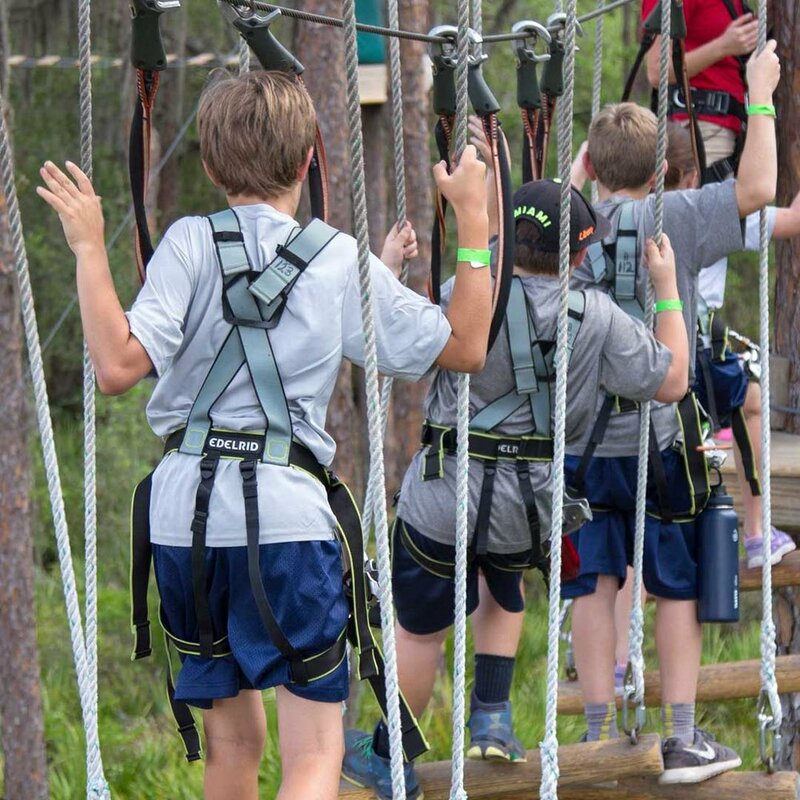 The Ape-Up Course is built specially for children ages 7 to 11. The course is compact, viewable from the Base Camp Visitor’s Center, and jam packed with fun. 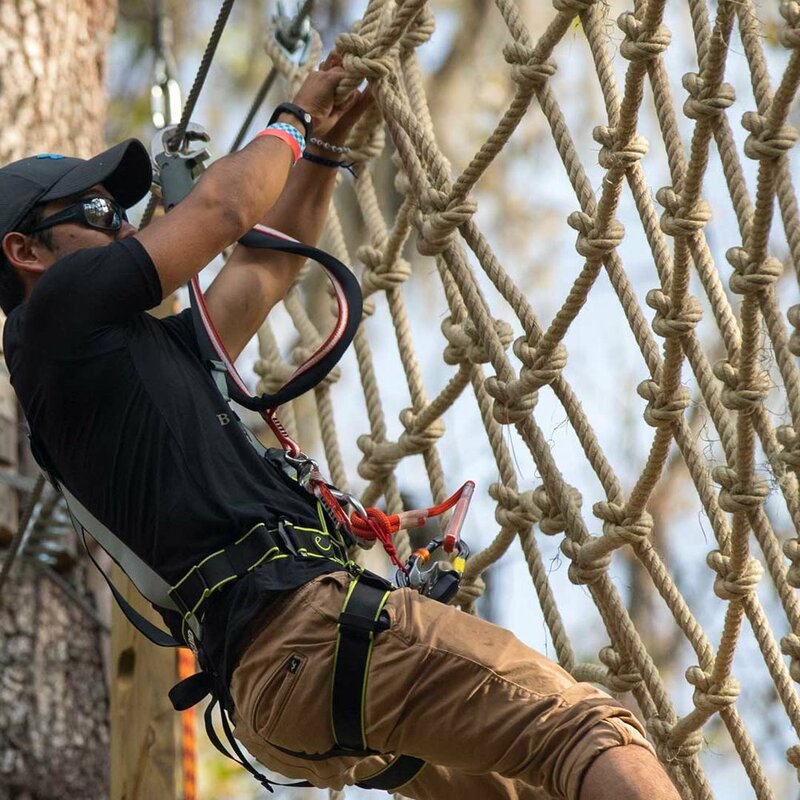 Kids, get spunky with our climbing wall and our suspended wooden tunnels, bridges and nets, seesaws in the trees, and their very own zipline. And guess what? Your ticket allows you to do it all three times! Times listed are first and last start times, we close our gates at sunset.